DEERFIELD BEACH – January 2, 2012 – A three car accident tragically resulted in the death of three people and left one on life support. A Lexux SUV ended up in the water, completely submerged. The accident happened on the Southbound side of Interstate-95 near Hillsboro Boulevard. The victims were in cardiac arrest. Three are dead and one is on life support after the crash. The three were in cardiac arrest after a Lexus SUV became completely submerged in a Deerfield Beach lake. The dead that were taken from the scene in cardiac arrest were two women and a man. 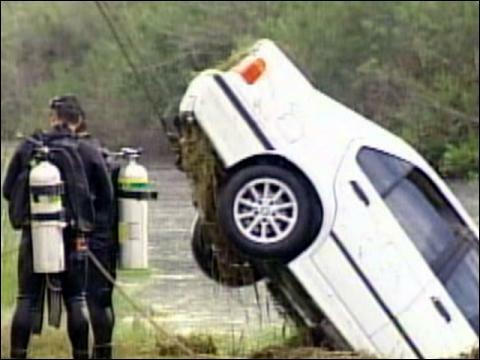 Later, divers recovered the body of a 15 year old girl. Investigators were trying to figure out if the girl was the individual who was missing following the accident. This was a truly devastating loss. In the above case, the cause of the crash was unknown. Certainly, following a crash like this, accident homicide detectives will collect and analyze evidence from the scene. And it will take time for them to produce an accident homicide report pursuant to their protocol. It is important to remember that a family is not left with just the law enforcement version of events. In fact, the law enforcement finding of fault is almost never admissible in a civil lawsuit action. A person can enlist their own professionals to investigate if he or she wishes.